The idea sounds seductive: pop a single-serving package of ground coffee into a machine, press a button, and within a minute pull a fragrant cup of absolutely freshly brewed coffee out from under the spout. Because you brew a cup at a time and can select from an assortment of different little coffee packages, such a machine could (in theory) provide the coffee lover variety as well as freshness, two of the main selling points of specialty coffee. Three new home brewing devices aim to fulfill that vision: the Keurig B100, the Melitta One:One, and the Flavia SB100. They range in price from a low of about $50 for the Melitta through $100 for the Flavia, to $200-plus for the Keurig. All brew single servings of coffee from proprietary capsules, pods or pouches. All use only the capsules, pods or pouches licensed or sold by the distributors of the machines, which, in effect, makes the machines hostage to the quality of the coffees supplied for them. In other words, these brewing devices can only be as good as the coffees available to put into them. Although the three machines differ slightly in how they accomplish the brewing, all appear to accomplish the act of brewing itself rather well. In other words, if everything were equal in terms of the quality of the ground coffee available to put into these machines, I suspect that all would brew an acceptable cup, at least equal in quality, say, to the cup produced by a mid-range automatic filter drip brewer. In terms of features, the main difference among the three brewers are controls that permit the option of producing either a strong 5-ounce cup of brewed beverage or a weaker 8-ounce cup from the same serving of ground coffee. The Melitta and the Flavia machines offer the user this choice; the Keurig B100 does not. It allows only the option of brewing an eight-ounce cup. The Melitta heats water on demand and so is quicker to deliver coffee from a cold start than the other two machines, which bring an entire reservoir of water to brewing temperature before the “read” light goes on. (The Flavia is particularly slow to ramp up to brewing temperature.) On the other hand, both the Flavia and Keurig, once ready, can bubble out more cups faster than can the Melitta, making them much better choices for small offices or ambitious hosts. Of the three machines, the Keurig is the easiest to use and requires the least fumbling to manage the loading and unloading of the little packets that contain the ground coffee. That having been said, our tests suggest that the machines themselves are not the main point of comparison. A far more important issue is the quality and variety of the coffees the distributors of the machines allow you to put into them. This appears to be a classic case of selling razor blades instead of razors. Crave that wonderful Ethiopia Yirgacheffe from the little shop down the street? Addicted to Starbucks Sumatra or Peet’s Major Dickason’s? Forget it: Brew with our little packages or nobody’s little packages. In short, the Keurig machine on an average produced a considerably higher-rated cup (average 83) than either the Melitta (average 80) or the Flavia (average 79) – almost certainly says more about the quality of the coffees available for the machines than the brewing efficiency of the machines themselves. If we buy the Melitta or Flavia machine we can choose only from coffees distributed by Melitta (six choices, only four without flavorings) or Flavia (fifteen choices, eleven without flavoring). The Keurig people have gone a different route. At this writing, four roasting companies produce K-Cups: Green Mountain, Diedrich/Gloria Jean’s, Timothy’s World Coffee and Van Houtte. None of these companies are tiny boutique roasters, but all are companies with roots in the specialty coffee movement. But we will never know for sure how much of the apparent differences in cup quality currently produced by these machines is owing to how they brew the coffee and how much is owing to the quality of the coffee itself until we can taste the same coffee on all three machines, a test that is impossible to conduct given present circumstances. Which gets us to another complicating variable: packaging. We are describing beverages brewed from very small portions of coffee roasted and ground as long as six months (perhaps even longer in the case of Melitta) before you, the ever-hopeful buyer-of-new-coffee-gadgets, actually pushes the button to brew some actual coffee from one of these little packages. Although the effectiveness of soft packaging for coffee has improved dramatically over the last ten years, there obviously is more to go wrong here than with whole-bean coffee bought fresh from a store that roasts it fresh. I compared my quality ratings against the “best by” dates printed on the Flavia and Keurig packaging, thinking that the higher rated coffees might prove to be fresher because they were more recently packaged. (Melitta does not print “best by” dates on its packaging.) However, I found no significant correlation between my ratings and the length of time the coffee had been in the package. 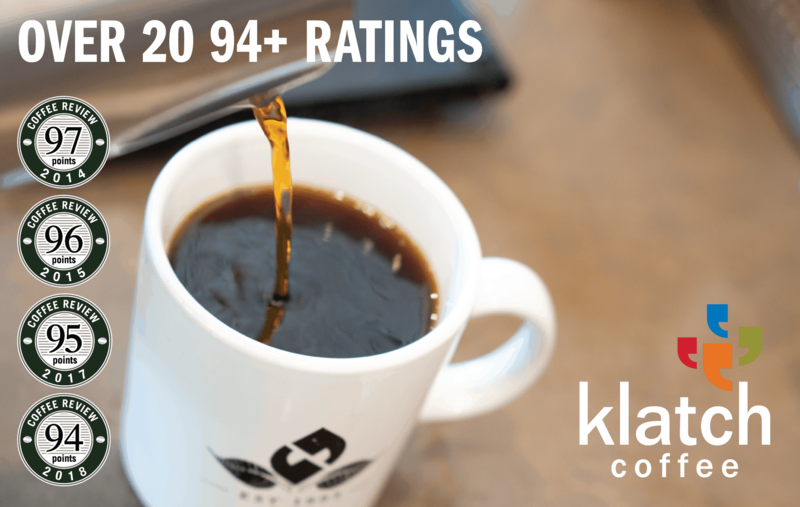 In fact, the top-rated Colombian La Vereda from Timothy’s World Coffee was slightly past its “best by” date at the time I tasted it for this review. However, the lack of correlation between time in the package and quality in the cup does not exonerate packaging as a potentially negative influence on quality. There were striking differences in body and aromatics among the various Keurig K-Cups, for example, differences that I find difficult to explain purely in terms of the quality of the coffees that went into the cups. 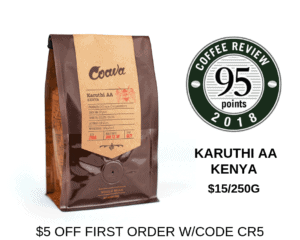 I was pleased to discover that I gave exactly the same score – a 90 – to the Colombian La Vereda from Timothy’s World Coffee when I cupped it in the conventional way back in February of this year and when I tasted its K-Cup version for this review. However, I also found that two Green Mountain coffees that I had cupped and admired (not for publication) earlier this year were shadows of themselves this time around in their K-cup incarnations. Furthermore, the problem with many of the lower-rated capsules, pods and pouches was a simple lack of power and complexity, suggesting that they may have been partly stale or faded. All of which suggests that the packaging of these single-serve formats may on occasion fail and allow staling, perhaps in inconsistent patterns from batch to batch or even from serving to serving. Despite all of that equivocating and caveating, I would say that, given the range of coffees currently available for these machines, the Keurig B100 presents a much better opportunity for something resembling (however remotely) an aficionado’s experience with specialty coffee than do either the Melitta or the Flavia. And, again, it would seem that this superiority is not so much owing to the superiority of the machine (though the machine could be a contributing factor), but is owing to the superior choice and quality of coffees available for the Keurig machine. As usual, when I tasted the coffees they were identified only by number rather than by name. In this case, I had an assistant brew the coffees in another room and bring them into me to avoid witnessing the brewing. I had no idea whose coffees I was describing and rating until after the tasting, and, as it turned out, most of the little guesses and speculations that flitted through my mind as a tasted were almost all dead wrong. In the end, how tempting is it for a coffee lover to opt for the convenience of little packets to put an end to the morning mess of spooning ground coffee out of a grinder into a brewer? It depends. If you are a committed aficionado who treats coffee as a specialty beverage parallel to wine, even the Keurig, with its relatively generous range of available coffees, will feel as constricting as a Blockbuster video store to a film buff. And the Melitta and Flavia, with their small, sad selection of drab coffees, might be like, what, selecting films only from the top rack of the action section. Plus, the only way an aficionado can get a strongly brewed cup of coffee out of the Keurig home machine is by pulling the cup out from under the spout before the brewing is concluded and (deftly one hopes) slipping another cup in its place to catch the flavor-weakening leftovers. On the other hand, someone who sips coffee all day and ends up heating the morning’s production in the microwave rather than brewing a fresh cup would come out considerably better with the Keurig and its range of decent to excellent coffees. As would small offices and large households whose members follow different schedules and harbor different tastes in coffee. Even the Keurig K-Cups may not produce top-end specialty coffees, but they do permit folks a bit more choice and a whole lot more freshness than a pot of house blend stewing on a hot plate. 2004 The Coffee Review. All rights reserved.